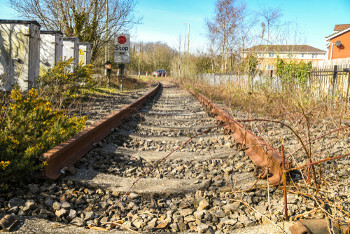 Campaigners have made a business case for investing £4.8bn in expanding the railway network with the aim of reaching ‘the most disconnected and disadvantaged communities’. A new report from Campaign for Better Transport (CfBT), The case for expanding the rail network, sets out how a national re-opening programme could initially create 33 new rail lines with 72 new stations, allowing an additional 20 million rail passenger journeys a year by bringing over 500,000 people within walking distance of a train station. CfBT said this would also create or safeguard up to 6,500 jobs in construction and engineering and 1,650 new railway jobs. Chief executive Darren Shirley said: ‘Expanding the railways would transform the opportunities for people living in some of the most deprived areas of the country, giving them greater access to employment and services and providing a much-needed boost to local economies. CfBT said that 50 years after the Beeching cuts, although rail travel is more popular than at any point since Victorian times and despite hundreds of re-openings being proposed, few reach construction, due in part to the lack of national oversight with the task of identifying and promoting projects currently left to local authorities and investors. Mick Cash general secretary of the RMT union, which helped produce the report, said: ‘For years politicians have been talking up the benefits of reopening lines but few reach construction due to a lack of a national approach and public investment.